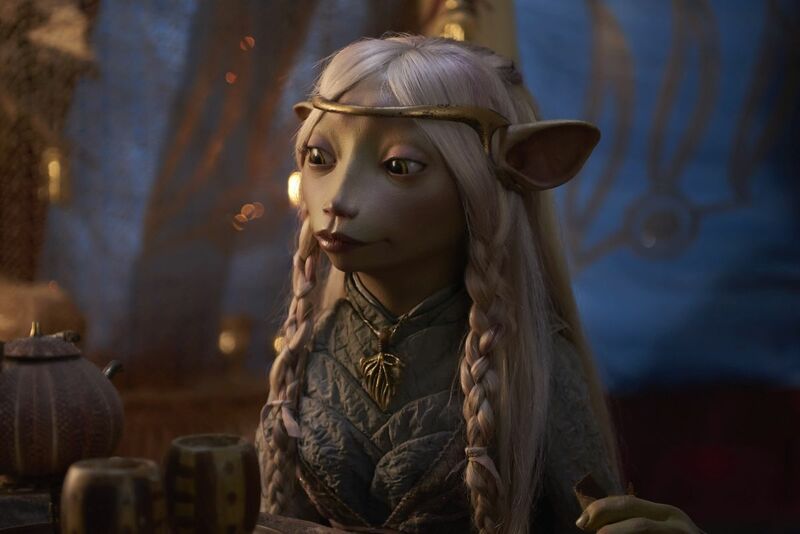 The upcoming prequel series The Dark Crystal: The Age of Resistance has revealed its voice cast, as well as a look at some of its unique characters ahead of its global premiere in 2019. It will also feature the groundbreaking puppeteering of The Jim Henson Company, who created the all-puppet cast of the original film. You can take a closer look at the characters below! The Age of Resistance takes place before the events in 1982’s The Dark Crystal, and tells a new epic story, set many years before the movie, and realized using classic puppetry with cutting-edge visual effects. The world of Thra is dying. The Crystal of Truth is at the heart of Thra, a source of untold power. But it is damaged, corrupted by the evil Skeksis, and a sickness spreads across the land. When three Gelfling uncover the horrific truth behind the power of the Skeksis, an adventure unfolds as the fires of rebellion are lit and an epic battle for the planet begins. The voice cast will be led by Taron Egerton (Kingsman), Anya Taylor-Joy (The Witch, Glass), and Nathalie Emmanuel (Game of Thrones), as three Gelfling heroes Rian, Brea and Deet, respectively. Other voice actors slated to lend their voices include Helena Bonham-Carter (The Crown), Eddie Izzard (Ocean’s 13), Andy Samberg (Brooklyn Nine-Nine) and Alicia Vikander (Ex Machina). “It is humbling to see so many truly gifted actors join The Dark Crystal universe by adding their voices to Age of Resistance. As with the original film, we are now adding a voice cast of the highest caliber that will provide textures and range to the puppetry performances that are the heart of the series. It is thrilling to see this assembled team of artists, puppeteers and now voice actors, many inspired by my father’s original film, work together to realize this unique world – through performance and craft – at a scale that is rarely seen today,” said Linda Henson, CEO of The Jim Henson Company. Feature film director Louis Leterrier (Now You See Me, The Incredible Hulk) will executive produce the series as well as direct. The Dark Crystal: Age of Resistance will be a Netflix original series produced by The Jim Henson Company and executive produced by Letterier, Lisa Henson and Halle Stanford. Longtime Henson collaborator Rita Peruggi will serve as producer and Henson’s Blanca Lista will serve as a co-executive producer. Leading the writing are co-executive producers Jeffrey Addiss and Will Matthews (Life in a Year), and Javier Grillo-Marxuach (Lost, The 100).